Delivery Time: 25-30 working days after receive the deposit . 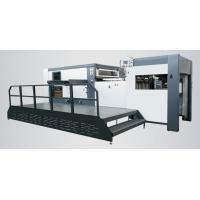 Application: applying to die-cutting, creasing, and cold embossing for cartons, paper boxes and paper labels, etc. 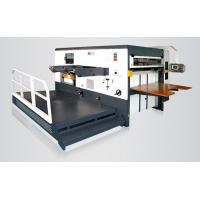 WM-1300 Automatic Die-cutting and Creasing Machine with stripping station is key equipment applying to die-cutting, creasing, and cold embossing for cartons, paper boxes and paper labels, etc. High-precision intermittent mechanism, pneumatic chase locking mechanism, air clutch, overload protector and special driving device, registration mechanism ensure smooth feeding, accurate registering and order delivery. Practical and reliable mechanisms such as pre-stack device, secondary feeding device, automatic timing lubricating device, etc. 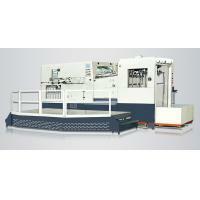 ensure the excellent performance of the machine. Electrical components and driving elements of internationally known brands are adopted to ensure die cutting precision and reliability of running. PLC monitors and displays the electric control system, which is convenient for fault diagnosis. Man-machine interface monitors machine state displaying running instructions, trouble location, troubleshooting to fully actualize man-machine communication. Sheet suction feeder high speed and stable. Sheet separator is reliable, There are 4-8 separating suckers can suitable for various paper. It have a vice feeding mechanism and vice feeding mechanism and vice feeding mechanism transition, which ensure continuous feed on-line. Sheet guide stable, location accurate. In the course of the running, sheet location can be adjusted.. Fix widen conveyer belt us adopted, operator can be adjusted. 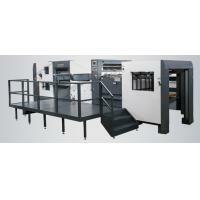 Register system is push-pull system, which can be suitable for various paper without change. New drive gear and servounit ensure high speed die cutting. Overload protective system ensure that driving part and drive part separate when accident overload. Pneuma-lock plate , air clutch. Unique die cutting frame prevent from deflecting or separating. Delivery is automatic and even. 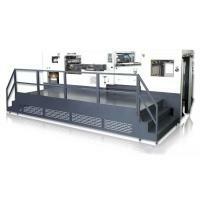 On-line vice delivery raise the efficiency. Electurically control system adopt computer control, which ensure that feeding, guiding, die cutting and delivery automatic control and real-time detection. Man-machine interface indication system will show working state, trouble position and shooting. Safe guarden will alarm when accident, and automatic shut-down. Training how to install the machine, training how to use the machine. Look forward to long term cooperation with customers, we will make best service and aftersales service for all of our customers. 1. 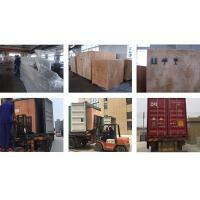 The packing is confirm to export wooden case standard, strong and durable. The wooden case’s thickness is generally 1 cm. 2. 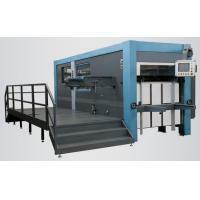 In order to be waterproof, we usually use film to wrap machine. Wellmark Packaging Co.,Ltd. is a professional supplier for the Packaging Machinery and Packaging Material , engaged in high efficient, high quality and sustainable development packaging machines. It was established in 2007, and the factory located in Wanjiang District Dongguan City Guangdong Province. Business Philosophy: To provide good cost performance product with excellent innovative technical; to service customer with high efficiency diligence. sincerely cooperate with customers to create value, form a community of interests, and use it as a long-term development. 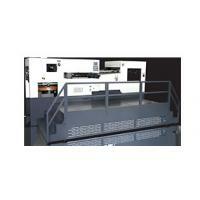 Best Quality, Best Service, Customer Satisfaction. 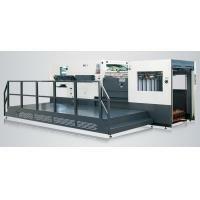 Packaging Machine: Automatic Rigid Box Making Machine, Semiautomatic Rigid Box Machines. 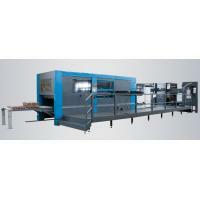 Semiautomatic Hardcover Making Line ,Automatic Corner Pasting Machine, Automatic Notching Machine , Automatic Book-Type Box Assembly Machine & Round Box Wrapping Machine etc. Packaging Materials:Hotmelt Glue, Hot Jelly Glue, Animal Glue, Gelatin Glue,PSA Glue ,EVA Glue,Hotmelt Tape,PET Tape,OPP Tape,PVC Tape,Kraft Paper Tape,Strapping Tape ect. Our packaging machine and materials are widely used in printing & packaging industry, especially in the paper products, such as Gift Box, Jewellery Box，Rigid Box, Gift Bag, Deluxe Book, Hardcover Book, File Folder, Tea Boxes, Red Wine Boxes, Book-Type Boxes, Round Boxes and so on. 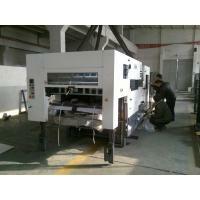 Cooperate with Wellmark Packaging Co.,Ltd. Join hands to the sustainable development of the world packaging industry.